Your website is an important asset for your business and like all other business assets, it needs maintenance in order to stay profitable. Given the technical nature of this property, it is not possible for all businesses to handle things on their own. But you do not need to worry for, you can hire us. 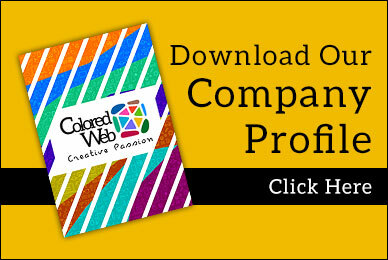 We are ColoredWeb a website maintenance company in Mumbai to get things done. All you have to do is list out your needs and requirements. The same will be executed by the company through its team of web designers and developers. And we take great pride in doing the same for you at a pocket-friendly price. We have been doing web maintenance for different businesses for a long period. The exposure has equipped us with the right degree of experience and expertise to handle diverse challenges and requirements. Whether it is altering the design or adding a widget or overhauling huge chunks, we do everything as per your desire and always strive to meet your expectations. ColoredWeb a website maintenance services in Mumbai will work for you from day one and as long as you are with us, you can throw all the update and alteration worries out of your mind. We take care to ensure best upkeep and our website maintenance packages have various options that let you choose as per your needs and budget. All we can say is that when you enter into a website AMC with ColoredWeb, you can be sure of getting efficient and reliable results.